The Delphic Society of Rochester – Our Fraternity’s Ancestor | Multicultural Fraternity | Delphic of GST Fraternity Inc.
We, as an organization, have known of the existence of the Delphic Society at Rochester since the mid 1990s. 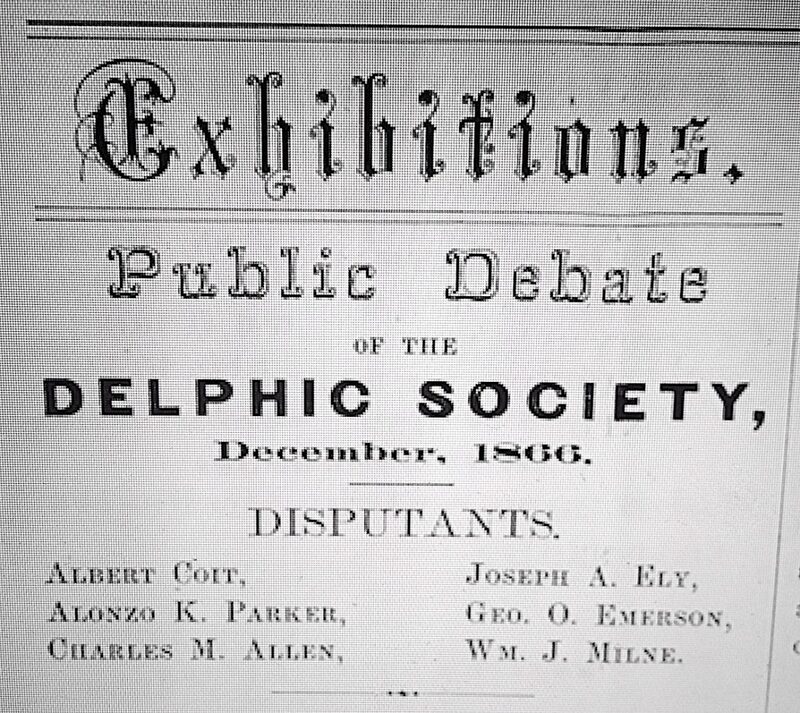 Our historian looked into the history of the Delphic Society at Rochester and at the time did not see a clear connection between the Delphic Society at Rochester and the one from Geneseo, our alpha chapter. However, recent historical findings have now led us to finally illustrate a link between the two college literary societies, based at locations physically separated by only 30 miles. 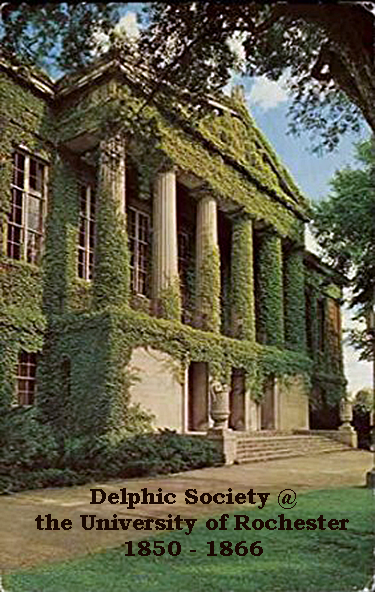 The Delphic Fraternity was founded in 1871 in Geneseo, NY. It can now trace its ancestral origin back to the Delphic Society founded in 1850 in Rochester, NY.